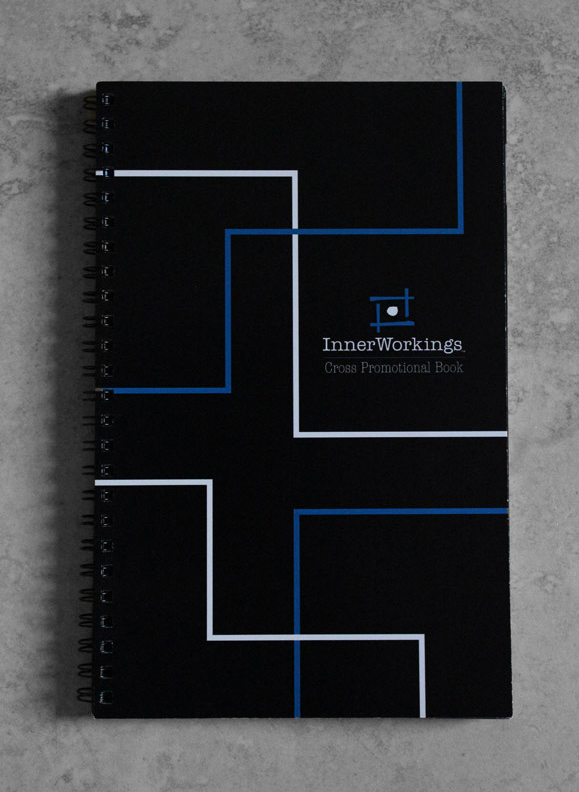 Innerworkings is a global marketing firm that helps deliver consistent brand experiences from web to print production. When I was brought onto the Innerworkings Creative Team my role was to work on various print production pieces used for presentations for various companies. 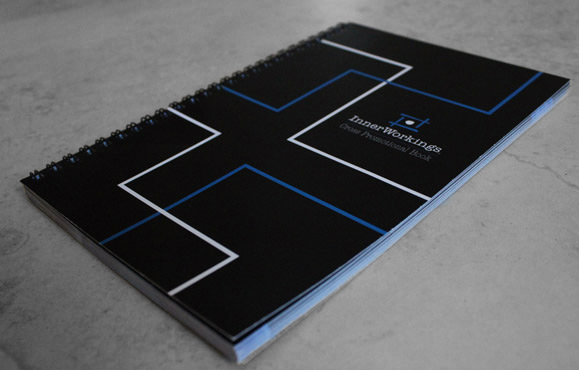 One of the projects I created was a promotional book that would be used to show future clients examples of various in-store marketing materials Innerworkings had created. While creating the design for the promotional book I worked on some of the production banners/posters and print collateral for the Raven's & Falcons. When designing the promotional book I wanted the book to look clean but read "Innerworkings Made". I decided to use a grey and black interior design, so the images of the products will pop off the page. I accented the book with touches of blue and white to incorporate Innerworkings.